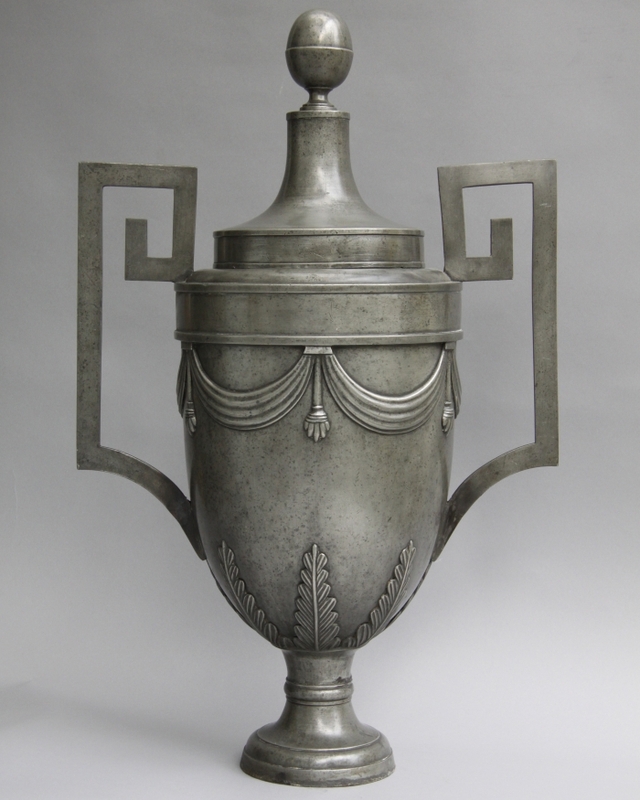 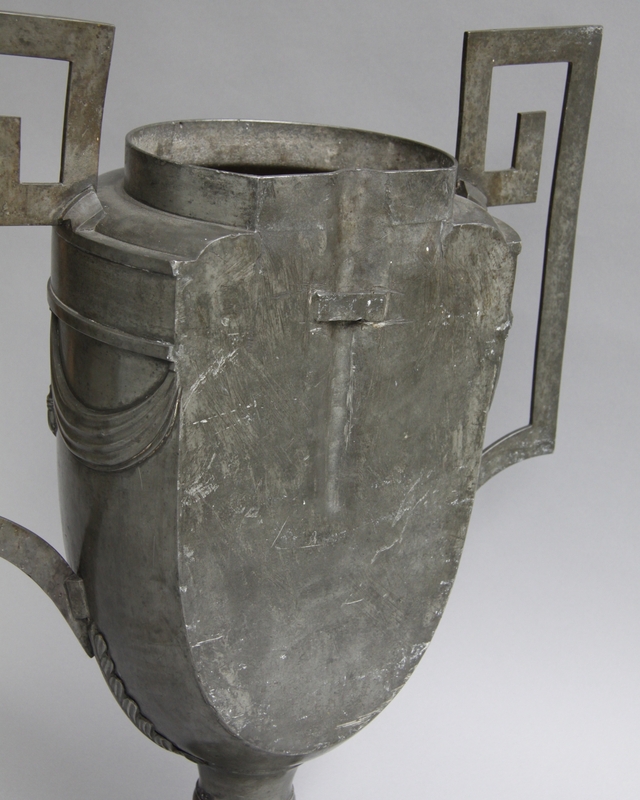 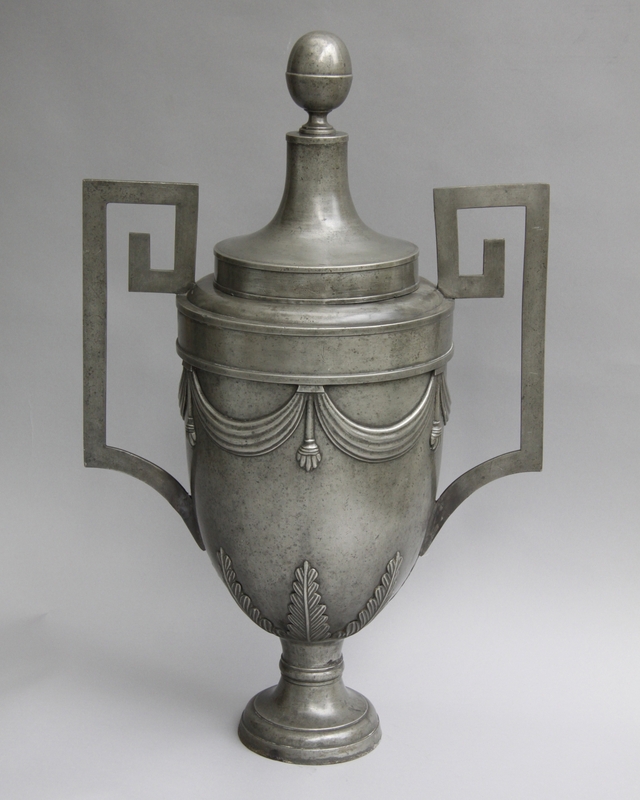 Pewter wall fountain in the shape of a classical vase with lid and Greek handles. 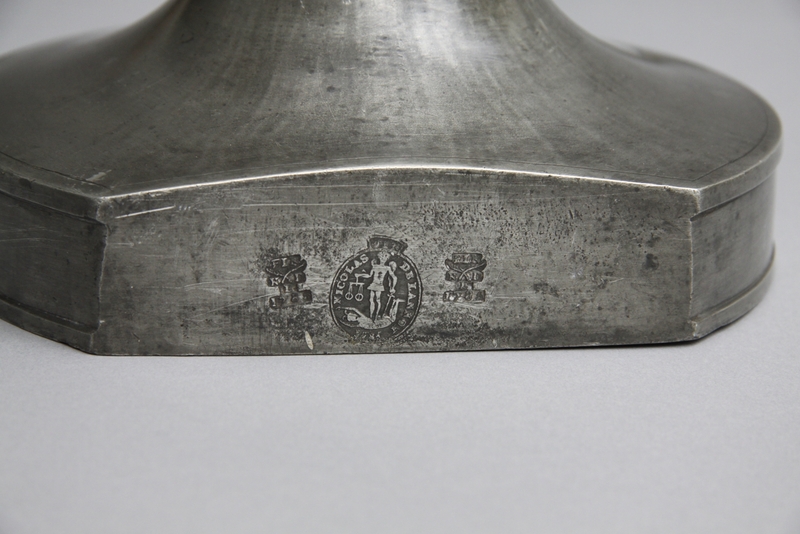 With hallmarks: "Palmleaves: FIN/N.L.D./1785" and "FIN/St. 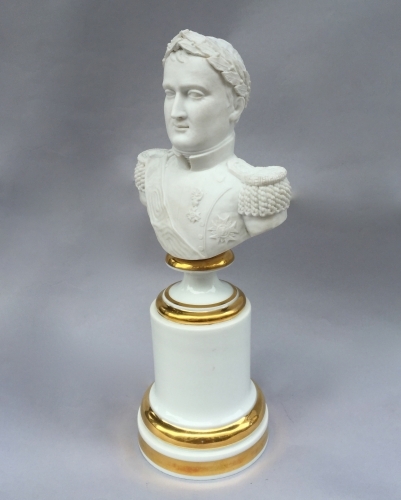 Michael/Nicolas Dellanoy/1785". 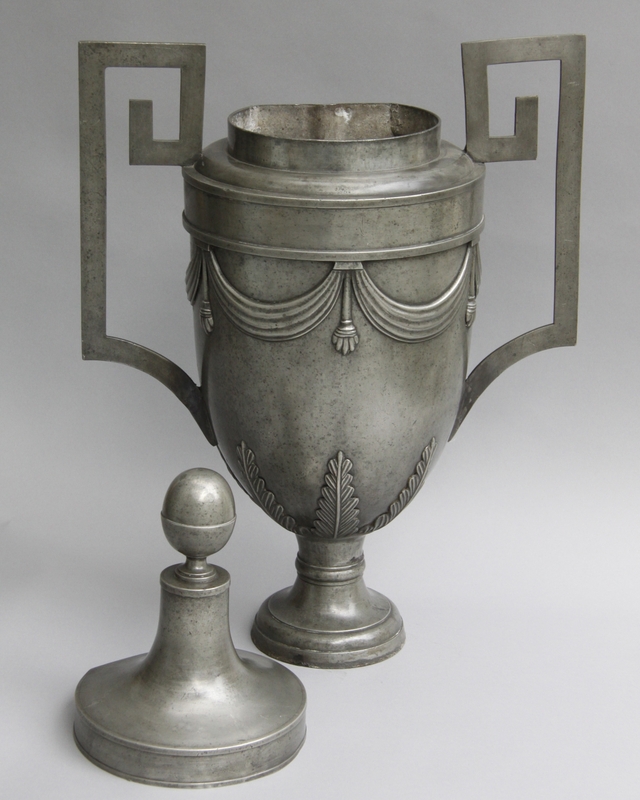 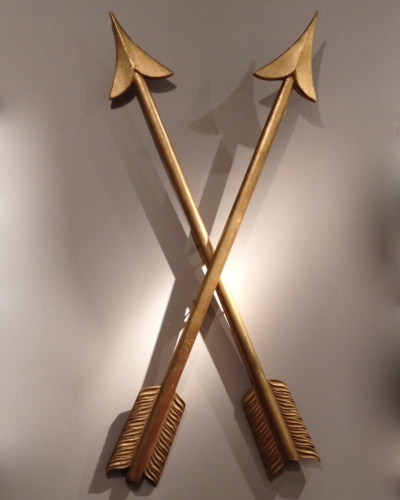 FIN is in French hallmarks an indication of the highest alloy of pewter. 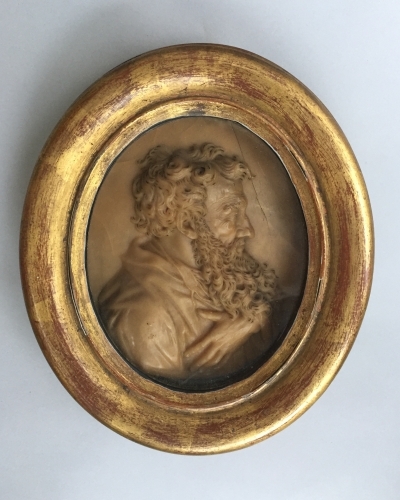 Nicolas Delannoy had his workshop in Lyon and became master in 1785. 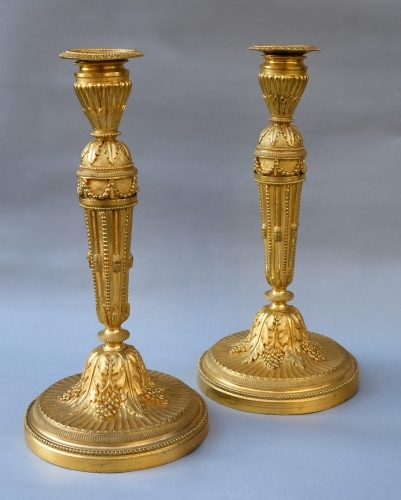 Small restorations to feet and handles.